How much cocaine should I take? Should I snort cocaine? How long does cocaine take to kick in? Can I mix cocaine with alcohol? How often is too often to use cocaine? 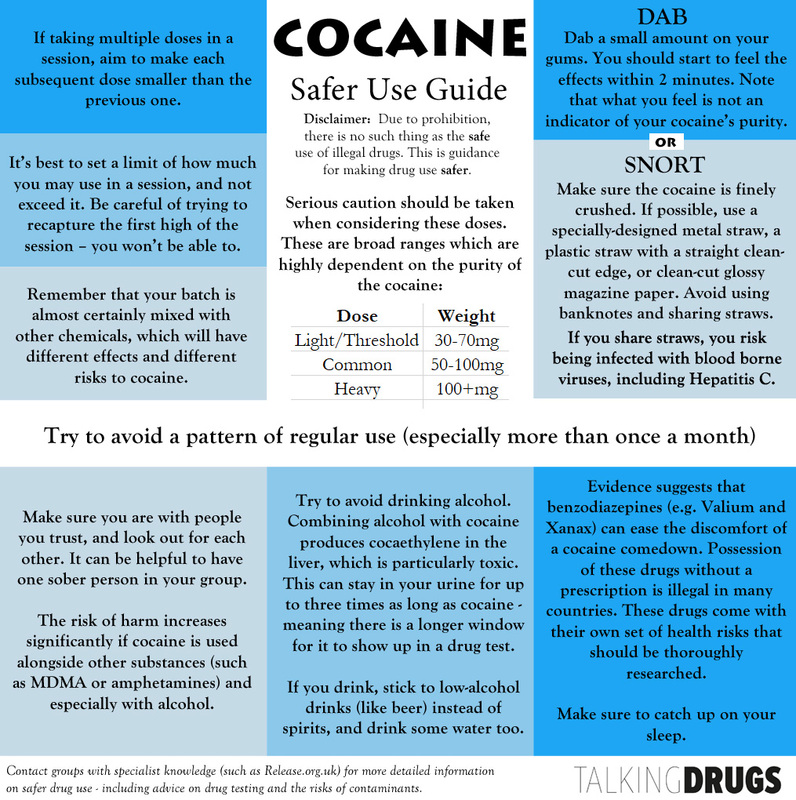 There are no definitive answers to these questions, but this graphic highlights some good things to consider when using cocaine.